Don't let the name fool you. 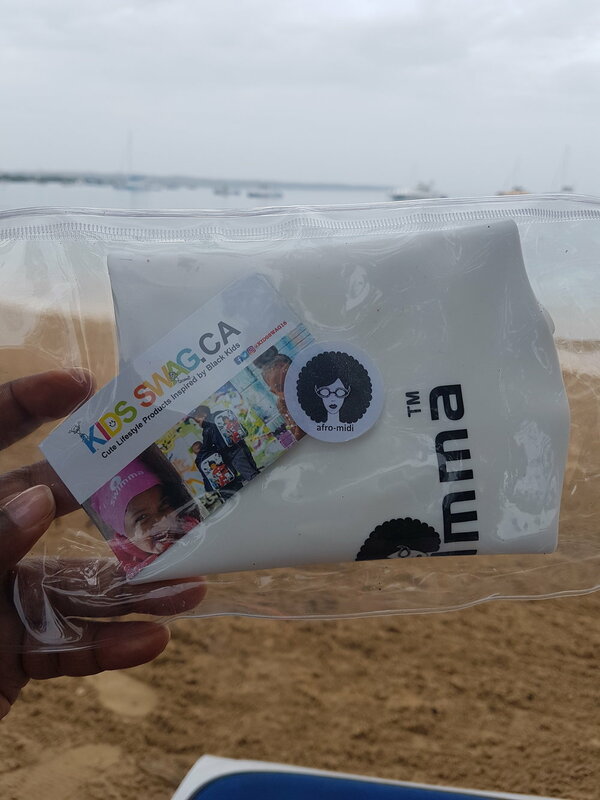 Kids Swag is the name of the company, but they offer swim caps for adults, specifically for adults with locs or afros. I had the pleasure of trying out the adult swim cap 'Swimma Cap' for locs while in Hawaii. I know a lot of people think that swim caps will spoil their beach look, however Kids Swag Swimma Caps come in quite a few fantastic colours like blue, pink, gold and red. If matching your swimwear with your swim cap is important to you, Kids Swag has you covered. I took swimming lessons 3 years ago, and the latex swim cap that I used really didn't protect me from the water. When my lessons were done and I took the cap off, my hair was soaking wet. I can't stress enough how damaging chlorine is to hair, more specifically black hair. So it resulted in me having to wash my hair every time I went to practice swim. When I was approached by owner Kimberlee West to try a Kids Swag swimma cap, I prayed to the swim cap Gods that this product would actually work. While I am not a professional swimmer that constantly has their head under water, I did wear my Swimma Cap in the ocean to casually swim and float. When I took off the cap, my hair was dry! Yassss! To be totally transparent, I did get water in my ears, and a few locs on the side did get wet. But on a whole, the Swimma Cap was way more reliable than the other latex caps that I've tried. 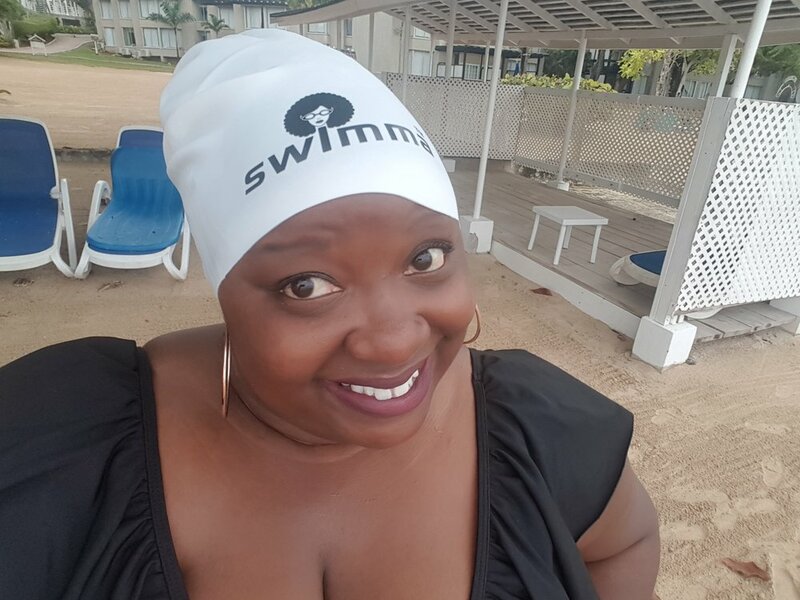 If you have locs, an afro, or just big hair and would like protection from water, I will absolutely recommend Swimma Caps by Kids Swag. Their website is www.kidsswag.ca and the Swimma Cap retails for $22 Canadian. Also check them out for other great products for kids.